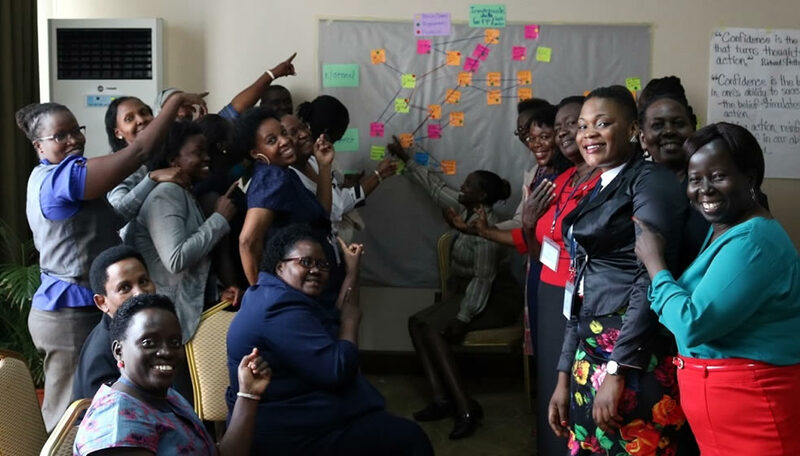 Women at the Uganda workshop point to the results of their accountability mapping exercise. The HP+ Women's Leadership team hosted a webinar May 23, 2018, titled Fostering Joint Accountability Within Health Systems. The webinar, which featured participants of the Women's Leadership and Accountability for FP2020 country-based programs in Uganda and Pakistan, presented HP+'s novel and collaborative approach to understanding and assessing strengths and gaps in accountability linkages among health systems actors who have a role in achieving country commitments The webinar introduced a new curriculum and tools available for use on the project website.